School Research Nexus is excited to welcome our top-tier performing SRN members (and nominees) to this year’s Fall Symposium! We value your expertise and collaboration at the symposium, proving solutions to problems facing today’s educational leaders. We are excited for you to hear the nationally recognized speakers and experts who will re-energize and inspire you to new levels of leadership commitment. Twice annually for over thirty years, a group of top superintendents have met at the Surf and Sand Resort in Laguna Beach, California. The purpose of the symposium is discovery and promulgation of world class educational best practices, and business solutions to meet the needs of America’s educational systems. A select group of educational leaders from some of the nation’s premier schools is also invited to participate. In addition to content delivery, these meetings allow participants to network and forge positive relationships. School Research Nexus seeks individuals of high potential who are willing to answer the call for Leadership Excellence. 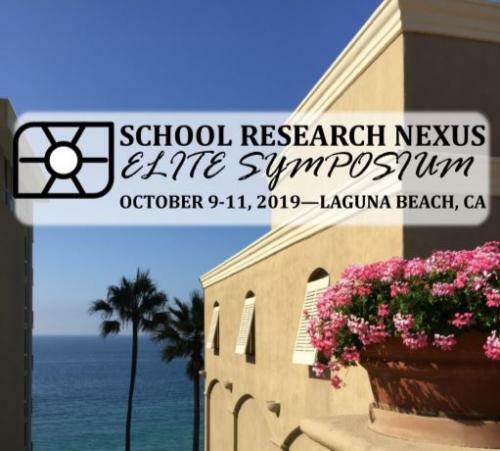 The School Research Nexus symposium will again be held at the Laguna Beach Surf and Sand Resort. Flip and his wife Susan, who is CEO, were named Ernst & Young Entrepreneurs of the Year, the only couple to ever receive this prestigious award. Previous recipients include Howard Schultz (Starbucks), Pierre Omidyar (eBay, Inc.), Reid Hoffman and Jeff Weiner (LinkedIn), and other fast-growth companies. Founded in 1990, Flippen Group was chosen by Texas Monthly magazine as #2 in the listing of Best Companies to Work For in Texas. The company’s breakthrough educational curricula and processes are used in thousands of schools nationwide, and their business division works with multinational and global companies around the world, enhancing performance and outcomes. Their leadership development and organizational consulting work has delivered dramatic improvements in professional sports teams and government organizations such as the US Army Corps of Engineers. 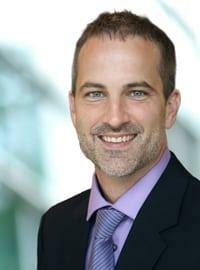 In May 2016, Dr. Chris White was promoted to chief science officer for the Flippen Group. With the unique combination of a Ph.D. in statistics and a ‘statistically above-average’ dose of humor, Dr. White exemplifies the balance of art and science. He has an uncanny ability to make the complex simple and provide powerful insights while communicating with contagious enthusiasm. These traits helped propel The Flip Side, a book he co-authored, to the New York Times best-seller list. He also played a lead role in developing the Flippen Profile, a preeminent psychometric instrument. 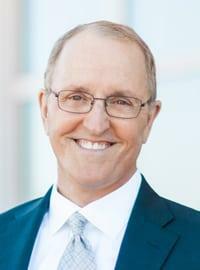 In his years with the Flippen Group, Dr. White has worked with some of the most influential people and organizations, including elite teams and athletes in every major sport (such as the Dallas Cowboys), Fortune 500 executives, military generals, and top educators. Dr. White leads the company’s personal growth efforts and has keynoted, trained, and consulted worldwide. Chris enjoys time with his family, playing sports, reading, and community service. He resides in Texas with his wife, Jennifer, daughters Harper and Berkley, and his sons Hudson and Braxton. Located directly on 500 feet of California’s pristine Laguna Beach, Surf & Sand Resort offers private oceanfront balconies, exquisite coastal dining, an award-winning spa and more. From those looking for a family adventure to couples and friends seeking a pure relaxing getaway, Surf & Sand Resort has you covered. Our oceanfront hotel in California resembles a sun-washed Mediterranean Village. We offer 167 beachfront guest rooms, including 13 Laguna Beach suites, all of which feature stunning views of the Pacific Ocean. We also offer meeting and event space, perfect for occasions like corporate retreats or your dream wedding. Surf & Sand Laguna Beach Hotel is the perfect space for your getaway. Thank you to everyone who voted for us in the Condé Nast Traveler’s 2018 Readers’ Choice Awards. All those votes have landed us a spot in the Top 25Opens a New Window. for best resorts in all of Southern California! We look forward to enhancing your guest experience in the new year.